Who is the Killer ? This puzzle has been doing rounds on social media since a few days. 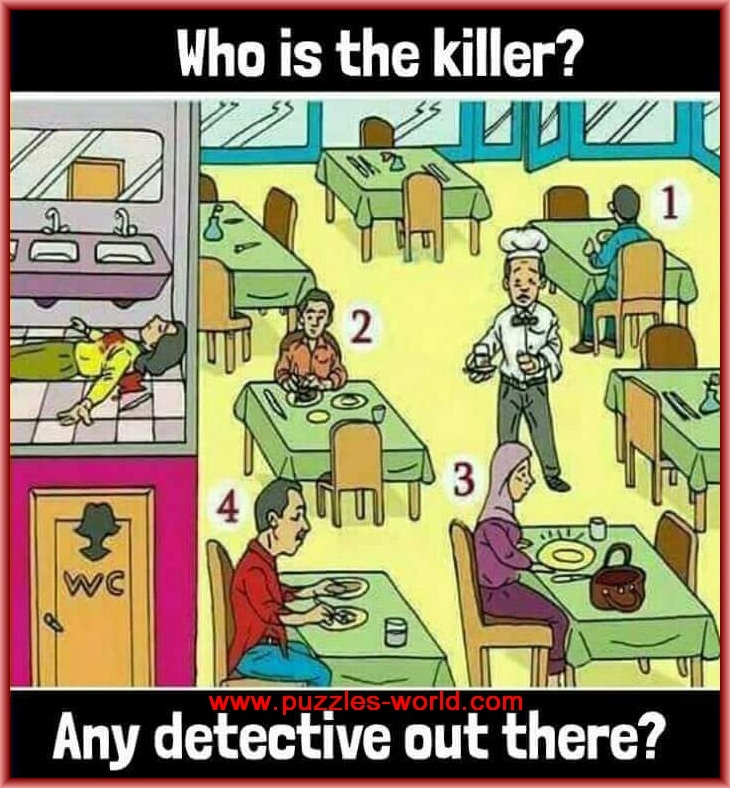 The crime scene is of a restaurant where a woman is seen dead in the women restroom and four suspects are seen sitting in the restaurant. Who is the Killer ? It says to test your detective skills. Can you solve this murder mystery and identify the killer ? Any detective out there ? Share with your friends and family and try to solve the murder mystery and see who has detective skills and who can find the killer ?